Not many people in life will make such a monumental decision with regards to financial commitment when it comes to taking out a mortgage. For many, it can often seem as though the subject of mortgages is bland, and holds little interest. But if you’re buying a new home, then the rate of interest which you will be paying on a loan which could take up to 30 years – even longer in exceptional cases – to pay off will matter greatly to you. The rate of interest paid on a mortgage – a loan used to buy a property – is, in the UK, usually linked to what is known as the Bank of England base rate. That is the rate of interest which the Bank of England, the UK’s central bank, charges to other banks and financial institutions when they borrow money from it. When seeking out a mortgage, you will be quoted a rate of interest which you will have to repay to your lender, in addition to the amount of money – the capital – borrowed. The base rate is the first factor taken into consideration when a lender decides how much interest to charge to let someone borrow from them. In addition to this, the lender itself will add an amount to this rate, which will be designed to reflect the amount of risk which they consider they are taking on in granting you the mortgage loan. These two elements, taken together, comprise the bulk of the amount of interest which you will pay on a home loan. In addition to these basic considerations, recent years have seen a great deal of complexity introduced into the mortgage market, as lenders have devised new products with which to tempt customers. – A tracker mortgage. Interest on these loans is charged at a set level above the Bank of England base rate. 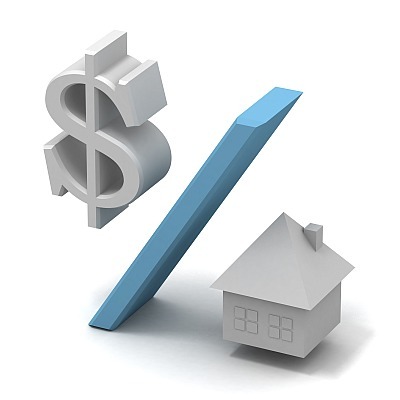 So although the amount to be repaid might vary, it will always stay closely tied to the base rate. It’s also important to bear in mind that the type or types of mortgage you are offered will almost certainly depend on what proportion of the value of a property the mortgage is for. The lower the proportion, the more inclined a lender might be to offer a bigger range of products, as they know they will be assuming a smaller risk. WeBuyAnyHouse are a UK house buying company who have a wealth of knowledge within the UK house buying market. You can visit them on line at webuyanyhouse.co.uk and view their informative and insightful housing blog or give them a call. WeBuyAnyHouse have been established for over 10 years and combine over 50 years’ experience of buying houses in the UK property market.